Ethical pendant crafted from certified Fairtrade gold and a conflict free diamond. She is a gift from the sea and oh so pretty! 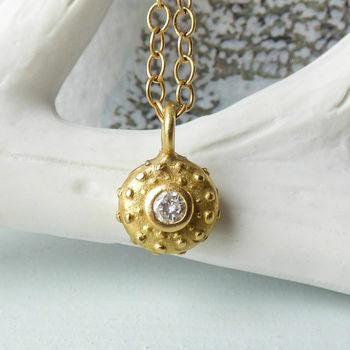 A sparkly 0.2cm diamond set in a delicate gold sea urchin pendant. This is the perfect everyday necklace. I love to wear mine on it's own, when I want simple elegance, or layered with some of my other animal and feather pendants for a more dramatic effect. By choosing a Fairtrade pendant you are making a difference in the lives of artisanal miners, their communities and the environment. Giving them a sustainable future. Urchin is part of my Animal Amulets Collection which is inspired by the Ancient Egyptians who wore jewellery primarily as protection. 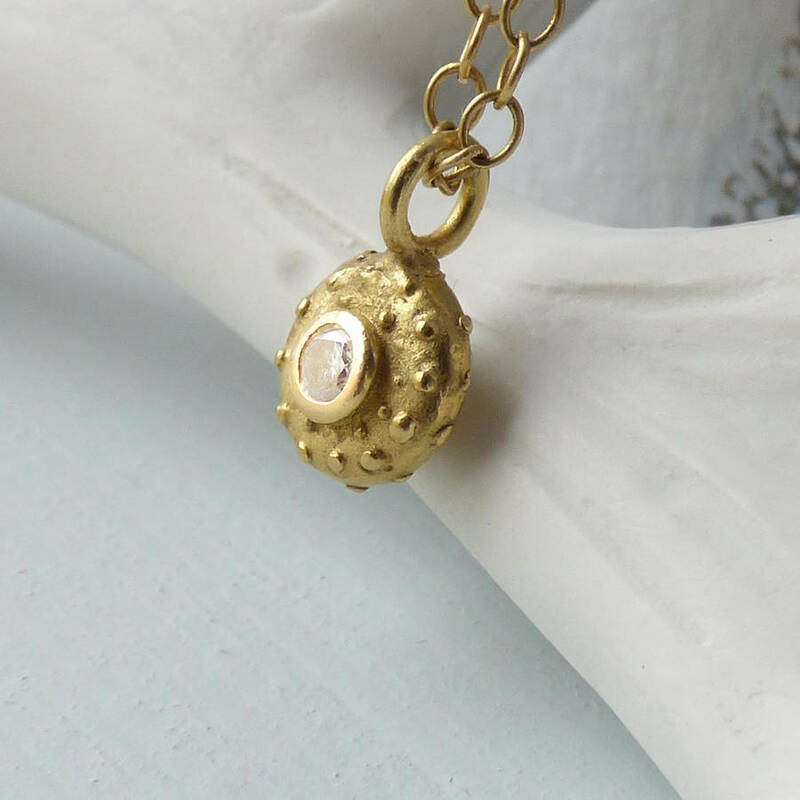 Our ancestors from the Palaeolithic period and Bronze ages treasured fossilised sea urchins for their celestial connection. 18ct fairtrade gold and a brilliant white diamond, conflict free.